If you are looking for a great place to start or rekindle your “leadership reading journey” – one of my all time favorite books is called The Secret: What Great Leaders Know and Do by Ken Blanchard and Mark Miller – two world class leaders and trainers. One of the best ways to learn is through stories. This story about Debbie, while a fable, is rich in its lessons that are universally applicable to people of all ages, at all levels of responsibility – from parents, to new employees, to middle managers and senior executives. I have read it many times over the years and I learn something new every time. A second valuable lesson I learned from this book is the importance of developing a model for leading that can be used to implement and guide your life. Debbie is exposed to the model SERVE, with each letter standing for a key element of the model. For instance, the “S” stands for “See the future.” It highlights the need for Debbie to understand where her organization is going, developing measurable goals to be achieved over time, and the importance of inspiring her team to help determine this roadmap together. I have used this model for years in my leadership workshops citing examples from my life along with those from students, who have, unknowingly in many cases, began following this model. In the book, you witness Debbie learning about character and skills, and well as how to apply each element of her newly found model into her work environment. 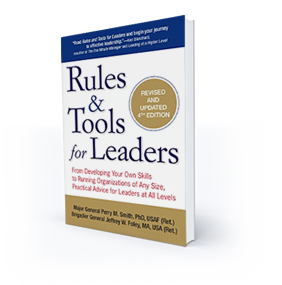 She learns the secret to what great leaders know and do – and you see it in action. 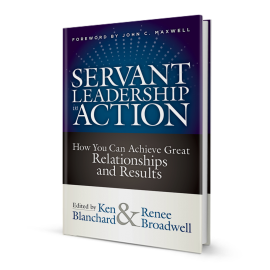 It is one of the very best books on servant leadership that I have read. This book helped me. It will help you! © 2015-2019 Jeff Foley. All rights reserved.